Charitable organisations heavily rely on the man power of generous volunteers, but employers’ obligations in respect of non-paid workers are often unclear. Confusion over the distinction between volunteers, workers and employees can lead to a whole host of legal issues for third-sector employers, but understanding where the line is drawn can help you to get it right. We explain the difference between the three – and how an individual’s status affects their rights. Third-sector employers may assume that while employees are afforded extensive employment rights, volunteers are not. However, it’s not quite so straightforward. Although it’s true that volunteers do not have the same legal status and protections that paid workers have in the UK, a great deal rides on the way you treat an individual and whether this is consistent with their role as a volunteer or whether they are more comparable to an employee. Put simply, if you are hiring an individual on a voluntary basis, this should be apparent in how you treat them – and you should avoid any practice that suggests they are more akin to an employee. How can employers avoid blurring the line between volunteer and employee? One key factor in the distinction between volunteers and employees is whether they have been given an agreement or a contract. By law, charities are not required to enter into any form of agreement with volunteers. However, if you do wish to provide volunteers with an overview of their role, training, supervision, expenses, health and safety and insurance, you may wish to provide a volunteer agreement. A volunteer agreement should be worded carefully so that it cannot be interpreted as a contract. In particular, it should explain what your expectations of the volunteer are rather than the obligations and duties you will impose on them, as the latter would imply that they are obliged to perform certain tasks or work particular hours. Keep in mind that by entering into a volunteering agreement, the volunteer may have grounds to argue that they are entitled to Employment Law protections. In this situation, an Employment Tribunal would assess the nature of the relationship – and if they find that the person is being treated more like an employee than a volunteer, the consequences may be costly. Wording the agreement in a way that sets out expectations rather than obligations should prevent any suggestion that the agreement is contractual. This will help you to defend yourself against any potential claims. For peace of mind, our expert Employment Law Advisers can review and revise any volunteer agreements for you. Our sector specialists understand your unique requirements as a charity, and can draft bespoke policies and handbooks to prevent reputational damage. As voluntary workers are giving up their time for free, they should not receive the National Minimum Wage or National Living Wage, nor any financial rewards or benefits in kind. If a volunteer receives any of these forms of payment, or you promise a contract or paid work in the future, they may be legally classed as an employee – and this will be accompanied by all the protections and employer obligations that come with employee status. It is therefore important to ensure that volunteers are only paid expenses, such as the costs of travelling, phone use or equipment. If a volunteer does incur expenses in the course of their volunteering work, you should ask them to submit evidence (such as receipts or bus tickets) as proof, reimburse any reasonable expenses and keep records of all reimbursements made. Although not directly employed, organisations should treat the safety of volunteers as a high priority. In accordance with the Health and Safety at Work etc Act 1974, employers have a duty of care to protect the health, safety and welfare of not only employees but also that of others who may be affected by your activities. This includes volunteers, customers, suppliers and the general public. The Act and the regulations made under it apply if any organisation, including a voluntary organisation, has at least one employee. This is enforced by the Health and Safety Executive (HSE) and local authorities. As an employer, your duty of care begins once a person is through the door. As far as “reasonably practicable”, you should seek to identify risks to volunteers and take steps to control these risks where proportionate to do so. Trustees, chief executives, directors and senior staff can be personally and criminally liable if they do not act properly in protecting volunteers from workplace risks. Ensuring that volunteers are aware of the organisation’s health and safety policies and procedures. Implementing these preventative measures will help to protect against costly and reputation-damaging negligence claims. If you need support in these areas, our Health & Safety Specialists can visit your site to conduct general risk assessments, provide guidance on the induction process and provide training tailored specifically to temporary workers and volunteers. 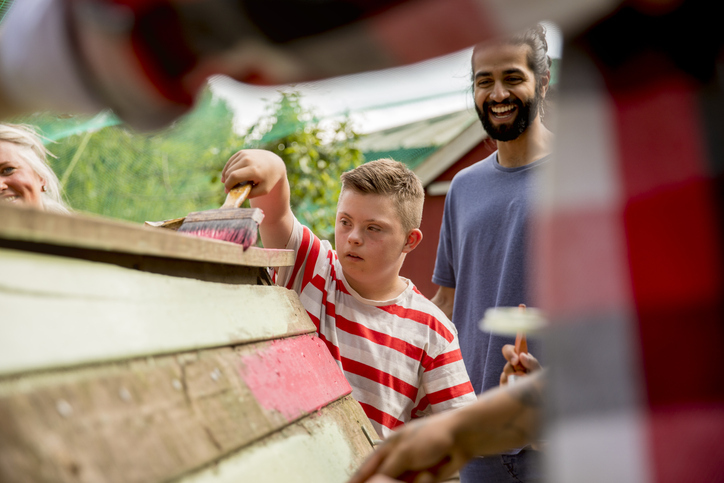 The line between volunteers and employees is a fine one – and it’s important that charities understand how their practices can affect an individual’s status in the eyes of the law. To complicate matters, there is also the middle ground of “workers”, who don’t have the full suite of protections that an employee does but do have some rights, such as to be paid National Minimum Wage and holiday and sick pay for example. If your business depends on the support of volunteers, understanding your legal obligations and demonstrating a commitment to keeping them safe can help to retain their services and attract more volunteers to your charity, as well as keep you compliant with the law. Ellis Whittam understand the legal obligations of working with volunteers. If you need advice or guidance, call 0345 226 8393 for a free consultation.